ISLAMABAD: State Bank of Pakistan (SBP) data has revealed Pakistan’s debt and liabilities grew to Rs31 trillion by end of September this year, including an addition of Rs984 billion in the first quarter of FY19. This rise comes at a time when there are major worries over the rapid rise in the debt burden in the next few months due to interest rate rise and rupee devaluation, reports Express Tribune. 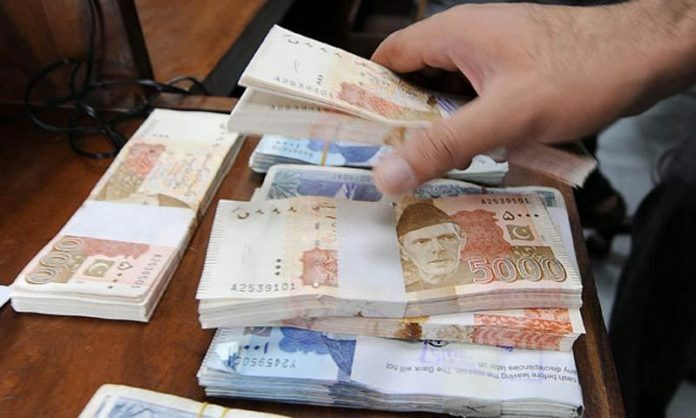 According to data released by the central bank, in the first quarter (July-September) of FY19, Pakistan’s total debt and liabilities surged to Rs30.9 trillion. Approximately Rs984 billion or 3.3% rise in debt was witnessed in the overall debt during the first quarter of FY19. From the Rs30.9 trillion debt figures, the gross public debt was recorded at Rs25.8 trillion and it grew Rs839 billion during the first quarter of FY19, which is much higher than the total budget deficit of Rs542 billion for the same period. The major reason for the growth in debt was currency devaluation and the rise in interest rates during the first quarter of FY19. An increase of 1% in interest rate raises the cost of debt servicing by approximately Rs180 billion and a single rupee devaluation adds Rs97 billion to the public debt. Consequently, this results in an increase of borrowing needs of the finance ministry. The total debt and liabilities figure include public-sector enterprises (PSEs) debt, non-governmental external debt, external debt and inter-company external debt from direct investors overseas. If liabilities aren’t accounted for, the country’s total debt ballooned to Rs29 billion. And the Ministry of Finance is yet to begin the formal mechanism of revising the Fiscal Responsibility and Debt Limitation Act 2005 to rectify an inconsistency created by the previous PML-N administration. The FRDL Act 2005 was revised twice by the former finance minister Ishaq Dar to under-report the debt figure. Due to revisions undertaken in the FRDL Act 2005 in the previous government’s regime, the public debt reported by the finance ministry is understated Rs2 billion than the actual figure. 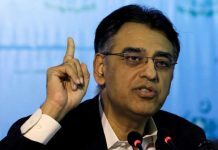 Moreover, the government’s domestic debt soared to Rs16.9 trillion, an addition of Rs507 billion in the first quarter of FY19. Also, the government’s external debt skyrocketed to an all-time high of Rs8.1 trillion by end of September, adding Rs327 billion in July-September FY19. And total external debt and liabilities ballooned to Rs12 trillion due to currency devaluation and non-government debt has also surpassed Rs2 trillion. PSE’s total debt rose to Rs1.5 trillion by end of September, posting a rise of 6% or Rs80.7 billion in July-September FY19 and their domestic debt grew to Rs1.12 trillion from Rs1.07 trillion previously. And PSE’s external debt recorded a rise of Rs29 billion to touch Rs353.6 billion. 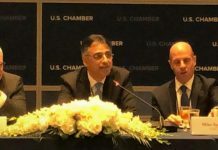 The debt procured from the International Monetary Fund (IMF) was unchanged at Rs741 billion and this was despite that Pakistan paid back around $133 million to the Washington-based lender in the first quarter. But total liabilities recorded a slight reduction to Rs1.42 trillion by end of September and domestic liabilities fell to Rs809 billion from Rs820 billion. In the 1st quarter of FY19, external liabilities fell to Rs620 billion from Rs622 billion in the 1st quarter of FY19. A substantial increase in interest payments has been recorded due to a massive growth in debt stock.